Although I’m not a big wine drinker, I recently saw an infographic that I absolutely loved. 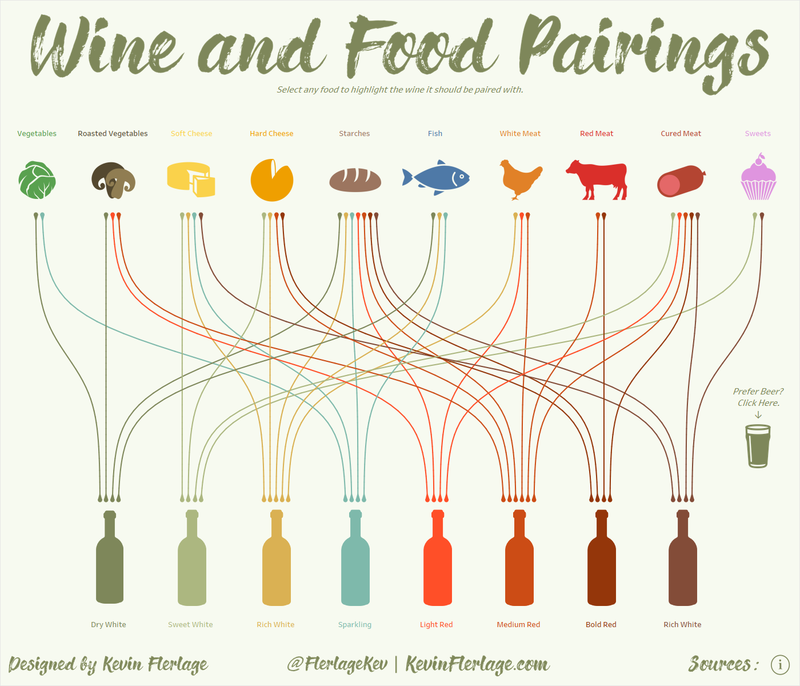 The infographic was published on Winefolly.com and showed how to pair food with wine; check it out here. This infographic was beautifully, but it was just that…an infographic. It was a bit tricky to trace the lines back to the different wines and more importantly, I wished it was interactive. On top of this, I prefer beer over wine and I wanted to do something very similar for food and beer pairings. So, I decided to recreate it in Tableau to bring clarity, interactivity and also build it out for beer. I opted to use curves in my visualization as I thought they would be easier to trace than the straight lines that used 90 degree angles. I recently published my Curvy Bump Chart & Slope Chart template blog post and I decided to leverage it for this viz. I built the wine chart, then did something very similar for beer. I then tied the two together using dashboard navigation buttons. I’m quite happy with the finished product. 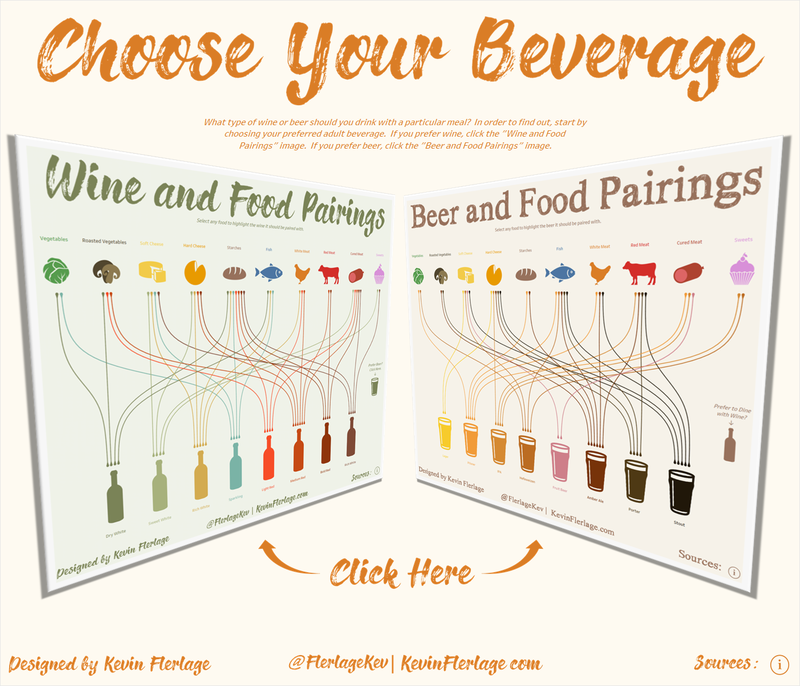 Click the link to see the final result: Pairing Food with Wine & Beer.